The Grim Reaper points out the dangers posed by the Cove Point terminal outside Bank of America on Pennsylvania Ave.
An official at a government agency responsible for permitting gas infrastructure took a potshot at protesters who were disrupting a public meeting on January 21. As Commissioner Tony Clark announced that he was leaving the Federal Energy Regulatory Commission when his term expires, he sniped at what he seemed to think was the demonstrators’ ingratitude for a primary service FERC performs: greasing the wheels for gas companies to build pipelines, storage facilities and compressor stations to fuel the electrical grid. Lusby, Maryland has never seen a civic action this big, according to local residents. Almost two hundred citizens and supporters mobilized on Saturday for a march to stop energy corporation Dominion Resources from converting Cove Point LNG into a liquefaction facility in the middle of a residential neighborhood. They walked six miles from Solomons Island to Cove Point Park to bring attention to health and safety concerns posed by the Dominion export terminal, which they say appropriated the Cove Point name from their community. 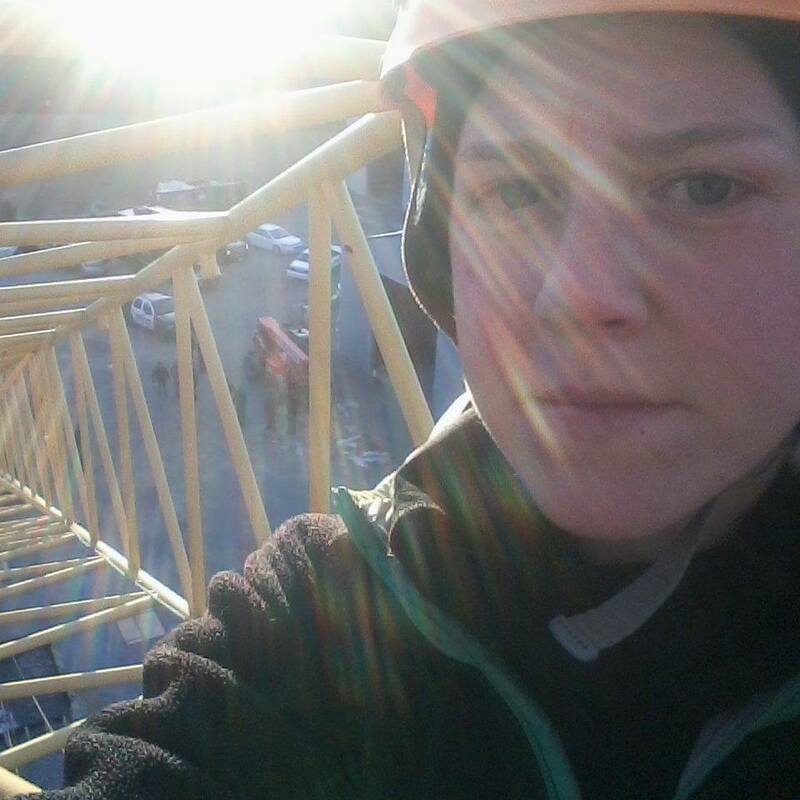 Carling Sothoron at top of crane at Offsite A. On April 20, two environmental activists appeared in Maryland District Court in Calvert County on charges related to a protest against the Cove Point LNG plant, in which they climbed up the arm of a crane and dropped a banner at a Dominion Cove Point construction site. 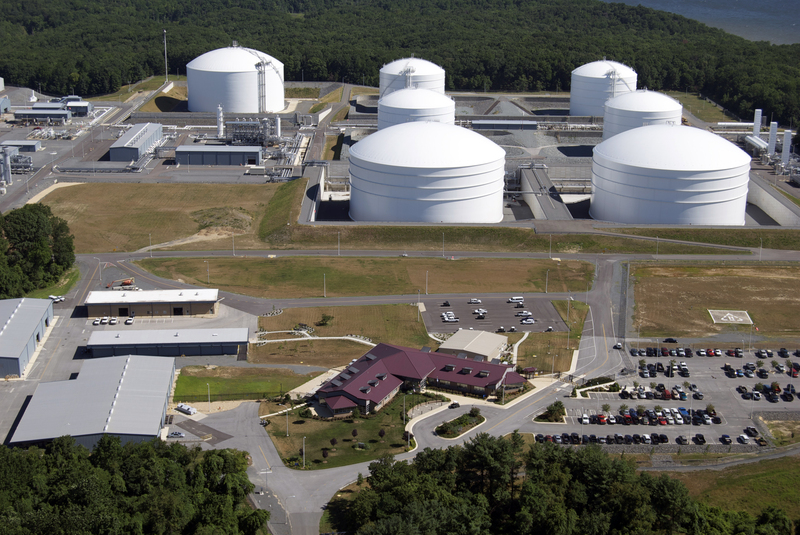 Lusby, MD – A contract employee was injured during unloading operations at Dominion Cove Point Monday, March 30, company officials stated. 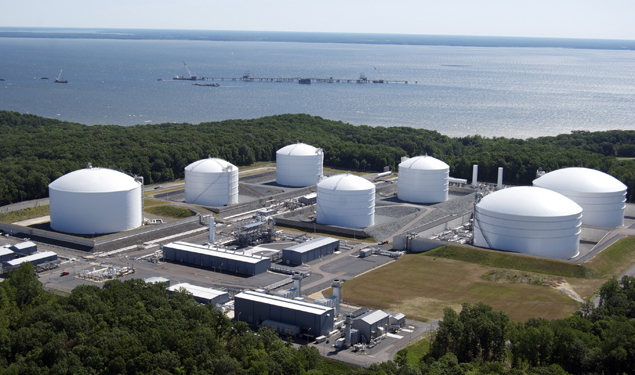 Cove Point LNG is slated to export gas from the Marcellus Shale to India and Japan. But what if there isn’t enough gas to export? The potential for exports of U.S. natural gas is not as rosy as proponents once imagined, said two panelists at this week’s New Energy Finance 2015 conference. 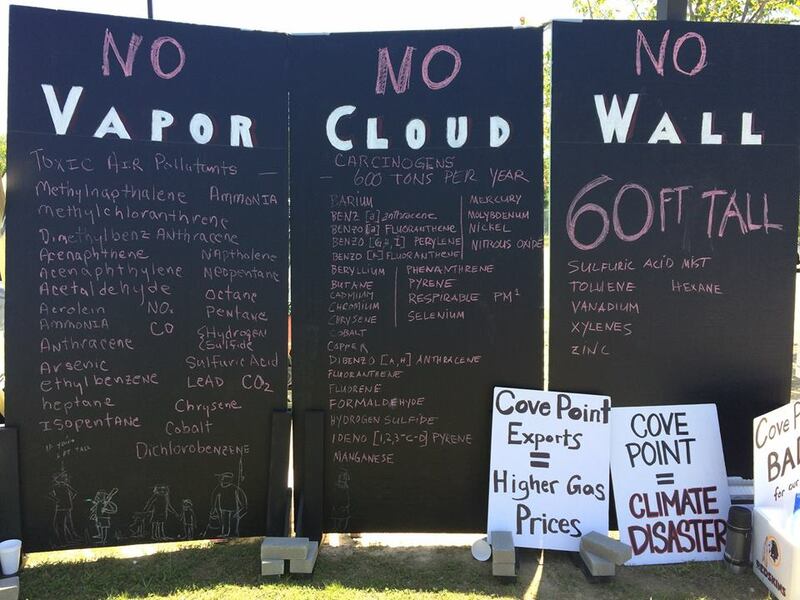 A prop illustrates all the pollutants that will be emitted by the Cove Point power station. Dominion Cove Point has agreed to pay a settlement of $365,000 for the lack of timely reporting of ammonia emissions that occurred between December 2012 and February 2013. 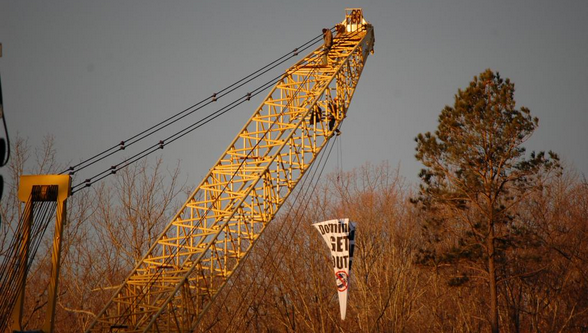 An activist drops a banner from a crane on Dominion’s construction site.